Russian Cultural Palace Kabul. The building was destroyed by the Mujahadeen during the Afghan civil war. Hundreds of people use the building to smoke and inject heroin. The Welfare Association for the Development of Afghanistan (WADAN) has reclaimed part of the building and turned it into a rehabilitation clinic. 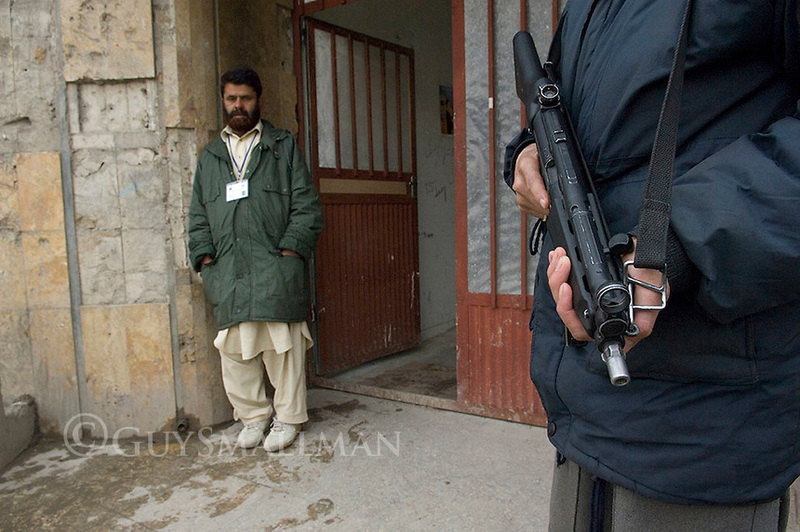 An armed Policeman stands guard at the entrance to the rehab clinic.